Brand Analysis & Competitive Audits, Brand Strategy, Brand Identity, Packaging Design, Typography, Photography, Production Management, 3D Digital Renders. At the heart of Italian culture lies traditional, well-crafted food; always best when enjoyed with family, friends, and one too many glasses of wine. 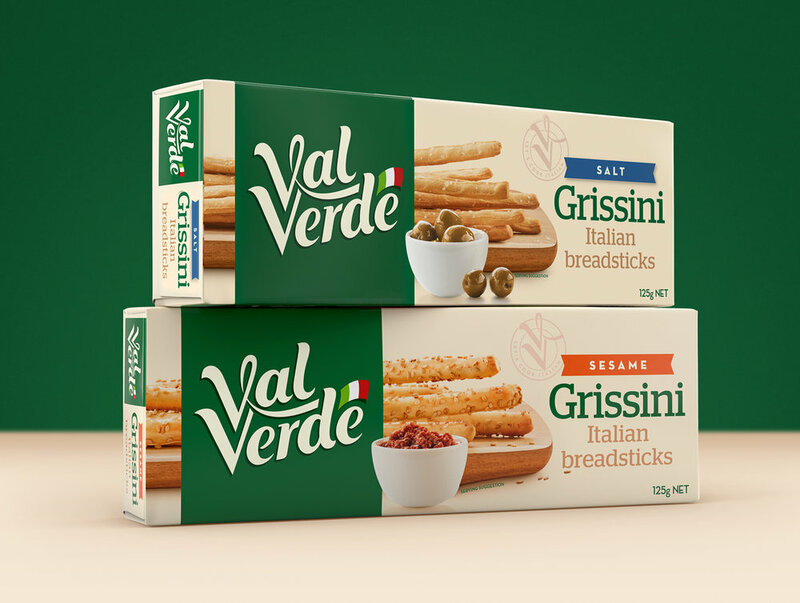 That warm sense of togetherness is exactly what Val Verde wanted to share with Australia through their range of sauces, pastas, and canned vegetables. While they source the best quality ingredients - think vine-ripened tomatoes straight from Italy - they intentionally keep their prices accessible. Why, you ask? It’s an integral part of their mission to provide people simple recipes and top-notch ingredients so that they can cook delicious Italian food at home. Our mission? To help that passion shine through their brand. Although Val Verde sourced the best-quality ingredients that Italy had to offer, the brand, itself, looked manufactured and old-fashioned. To resolve that contradiction, we crafted a new brand mark that more accurately represented the personality of Val Verde. In addition, we introduced the spoon device, which portrays the “approachable mentor” role that Val Verde so naturally embodies.